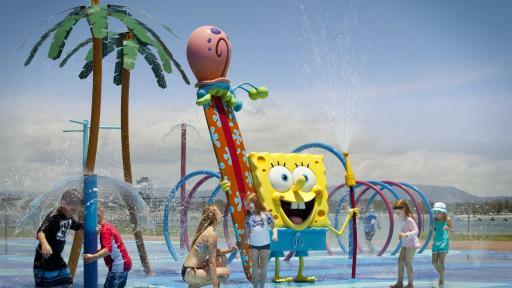 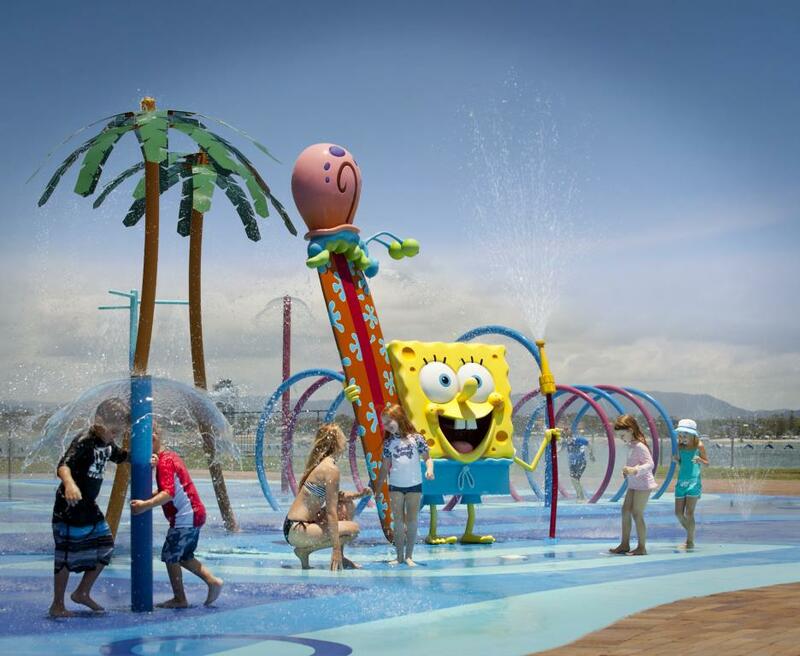 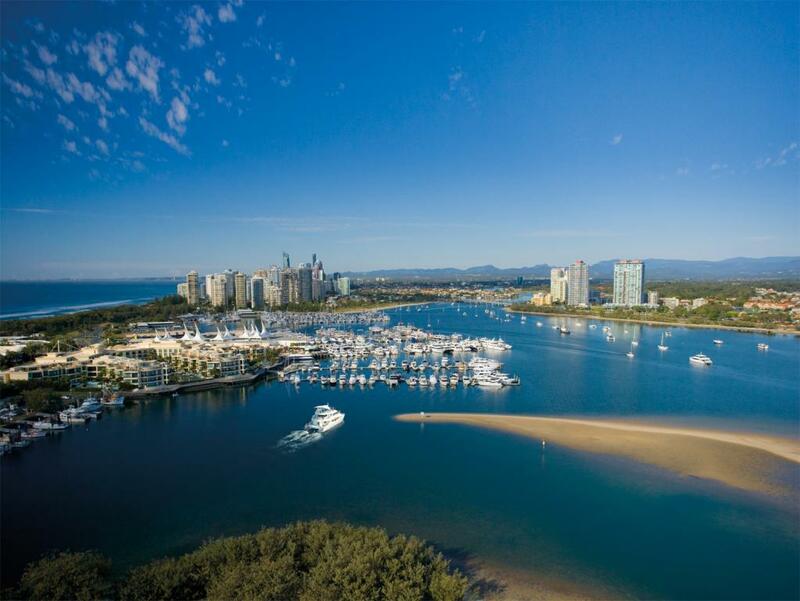 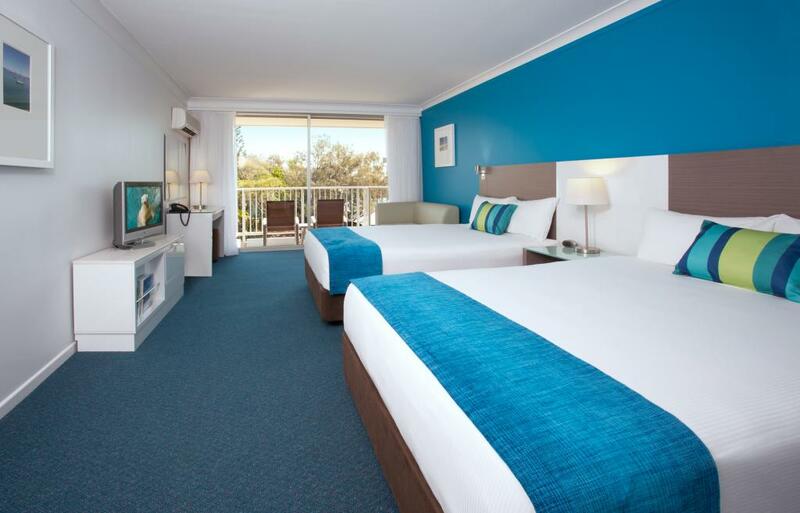 Located on the Gold Coast Broadwater, Sea World Resort & Water Park is the ultimate family friendly holiday accommodation offering direct access to the theme park. 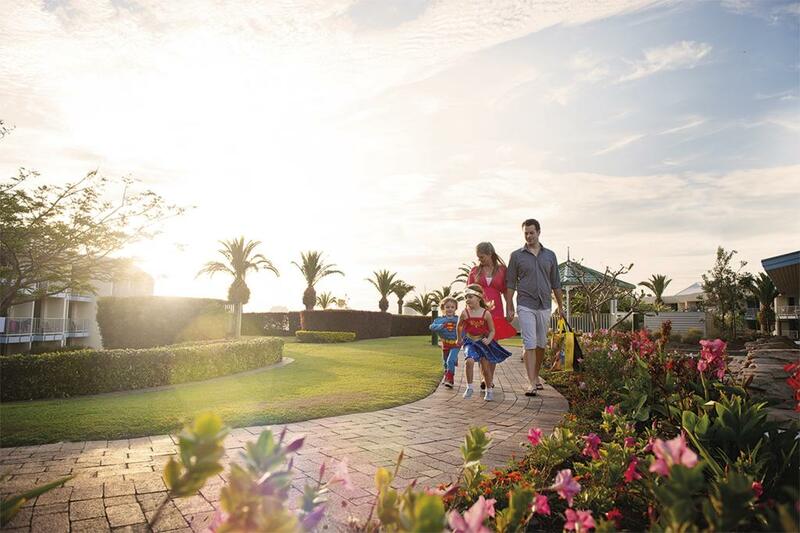 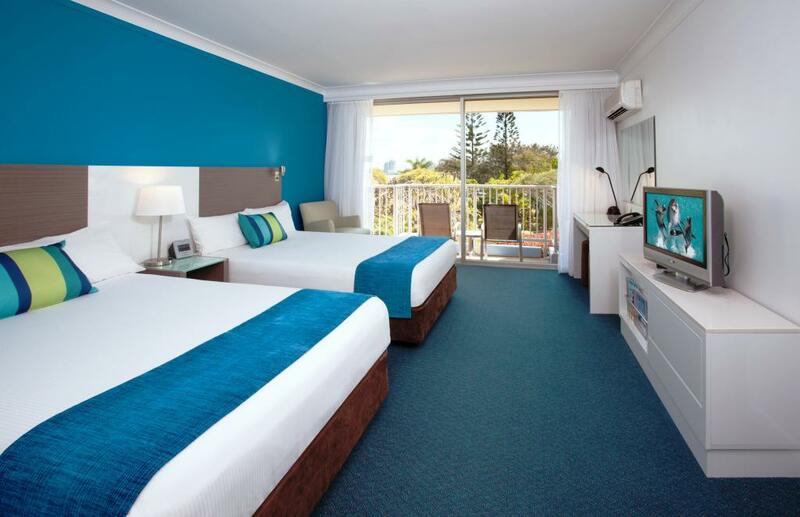 Accommodation at Sea World Resort & Water Park offers a choice of Resort or Family Rooms featuring all the comforts of home including air conditioning, Cable TV and private balconies or patios to kick back and enjoy the perfect weather. 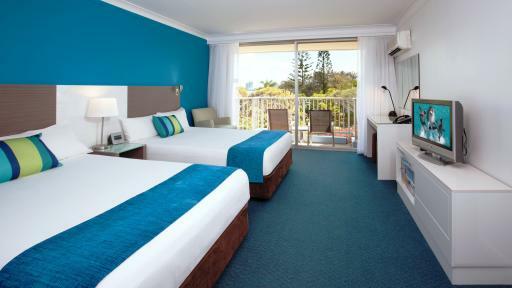 Sea World Resort & Water Park also enjoys a great range of onsite facilities including a heated lagoon pool, children's playground, spa and sauna and volleyball courts, a number of bars and restaurants, game zone, kids club, massage and beauty facility and much more however nothing beats walking straight from your accommodation into one of the Gold Coast's most popular theme parks for a day of fun. 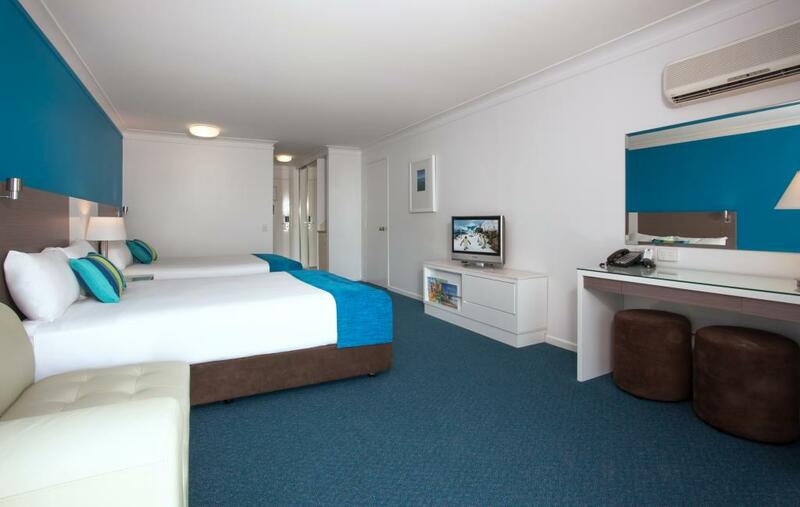 This Gold Coast accommodation is ideally situated on the Broadwater and is a short distance from the popular and busy Surfers Paradise. 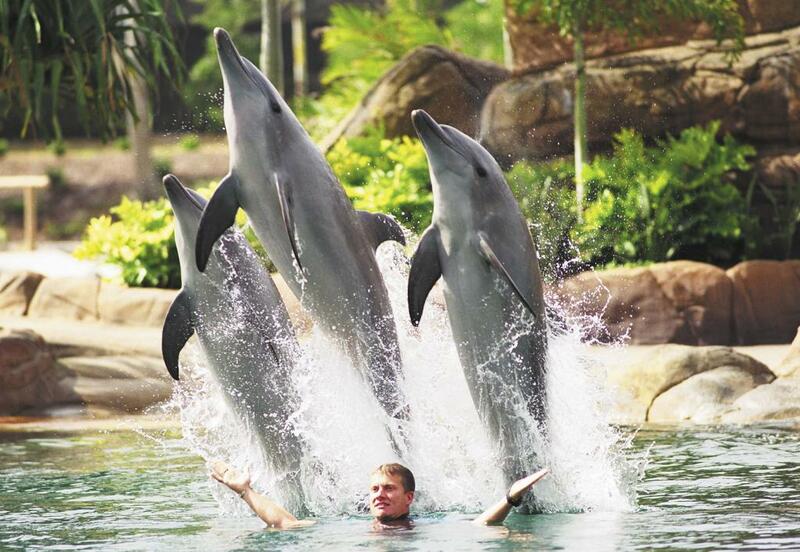 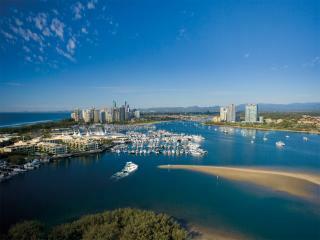 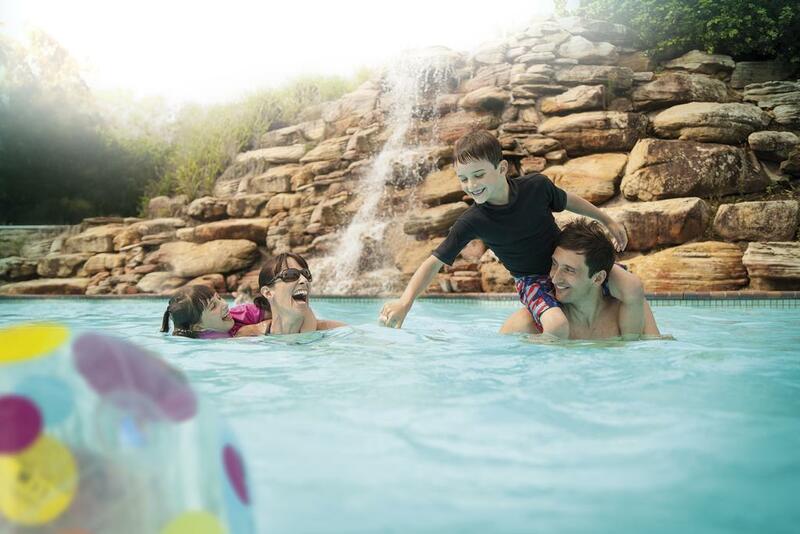 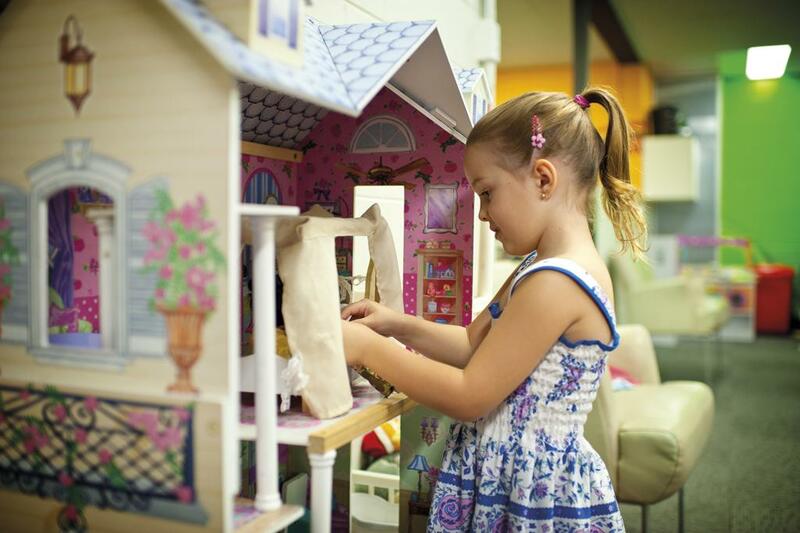 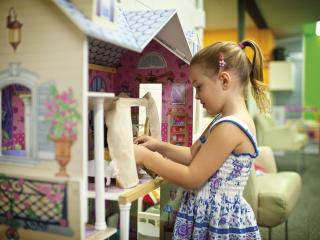 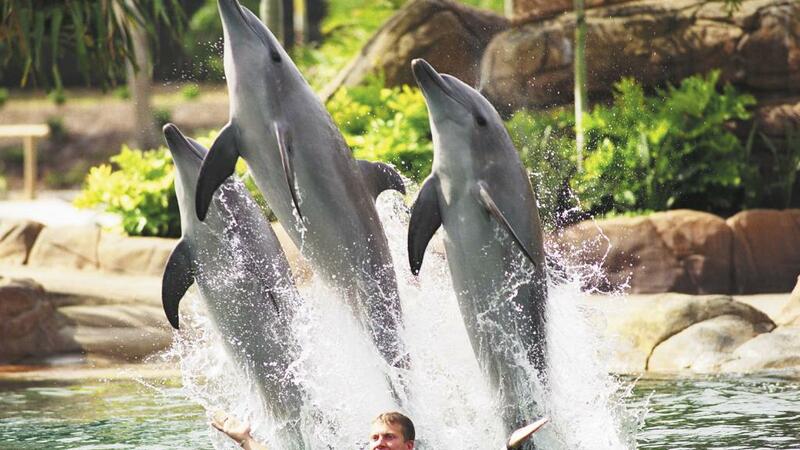 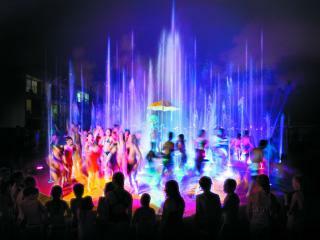 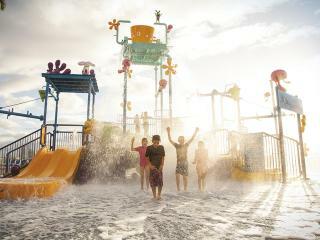 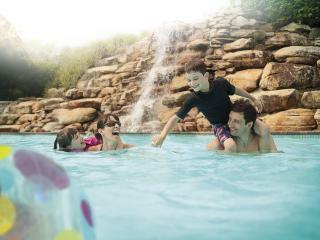 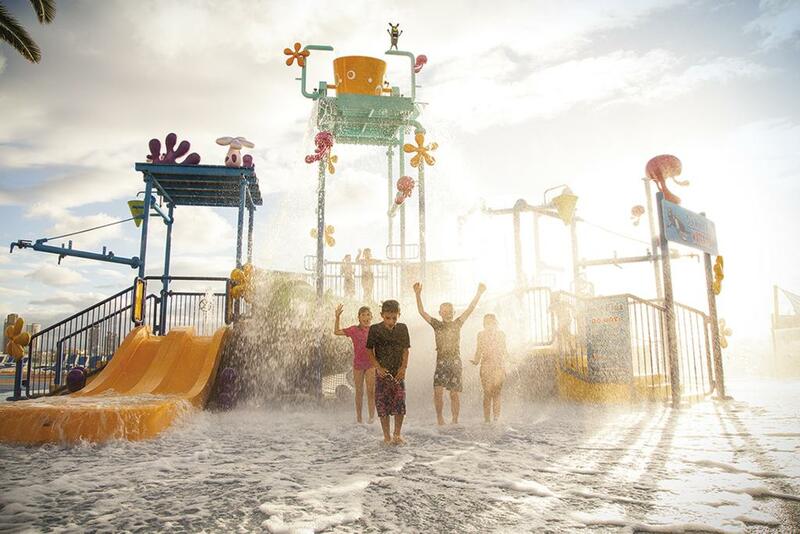 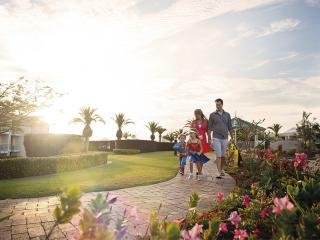 Sea World Resort & Water Park is the ideal family Gold Coast holiday location. 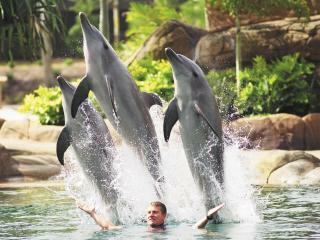 Sea World is right at your door step, there are many activities and rides available that are suitable for children and adults. 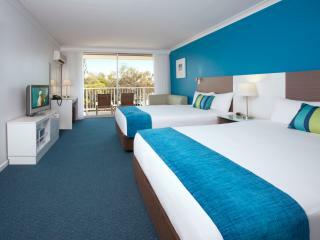 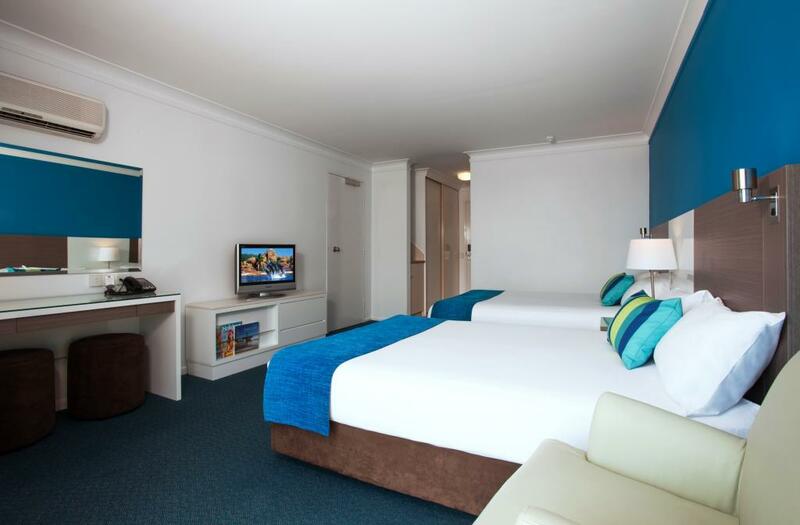 Accommodation at Sea World Resort & Water Park offers a choice of low rise rooms surrounded by tropical gardens on the Broadwater. 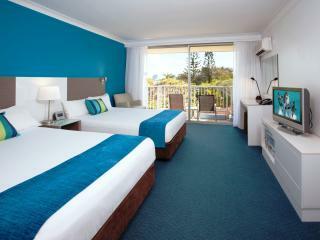 Resort Queen: Resort Queen Room: Bedding is 2 Queen Beds + a roll-away bed. 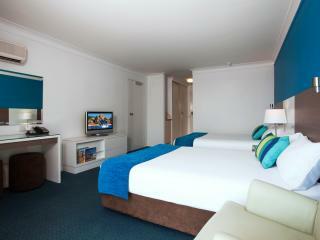 Maximum room capacity 5 Adults & Children. 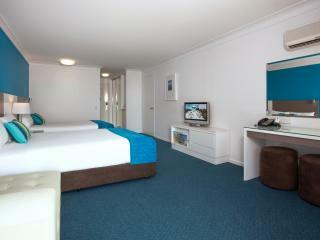 If you require 5 people in this room type please contact your consultant for a quote. 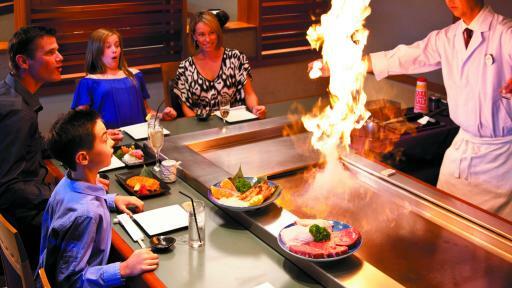 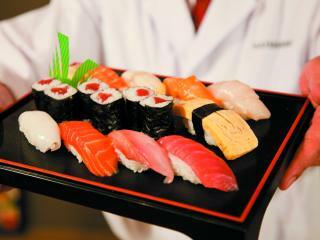 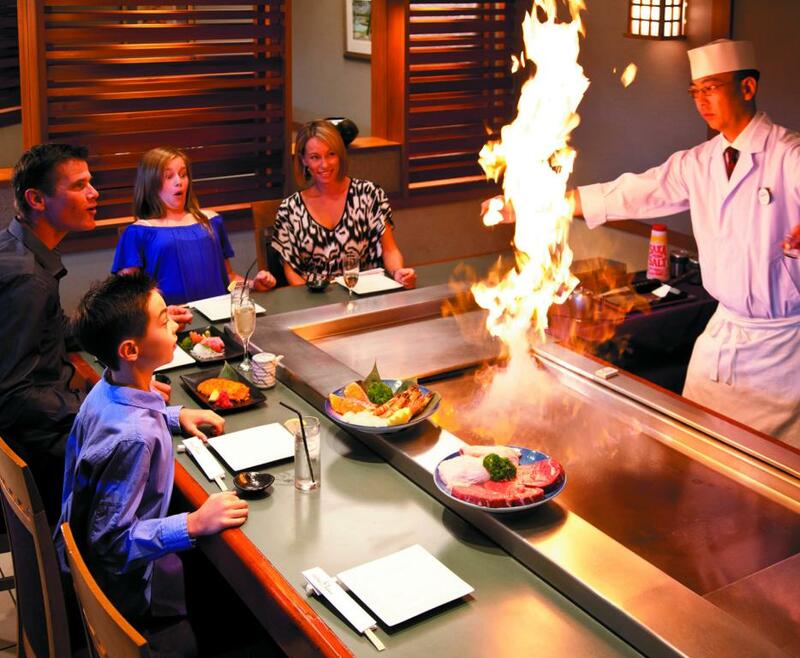 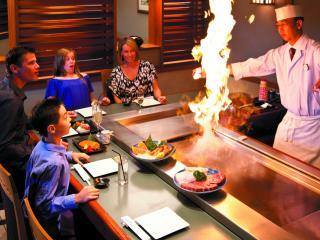 Hatsuhana Japanese Restaurant: Offers sushi, sashimi and authentic Japanese cuisine plus a range of Italian dishes. 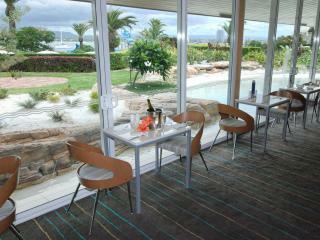 Open Wednesday to Sunday from 6.00pm. 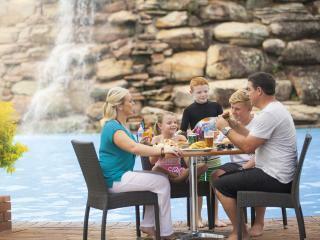 Shoreline Restaurant: Offers continental or buffet breakfasts and family friendly a la carte or themed buffet dinners including Asian, Australian, Mediterranean, Mexican and Seafood. 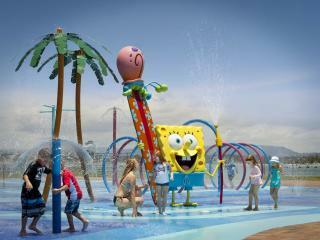 Open daily from 6.30am - 9.30am and 6.00pm - 9.00pm . 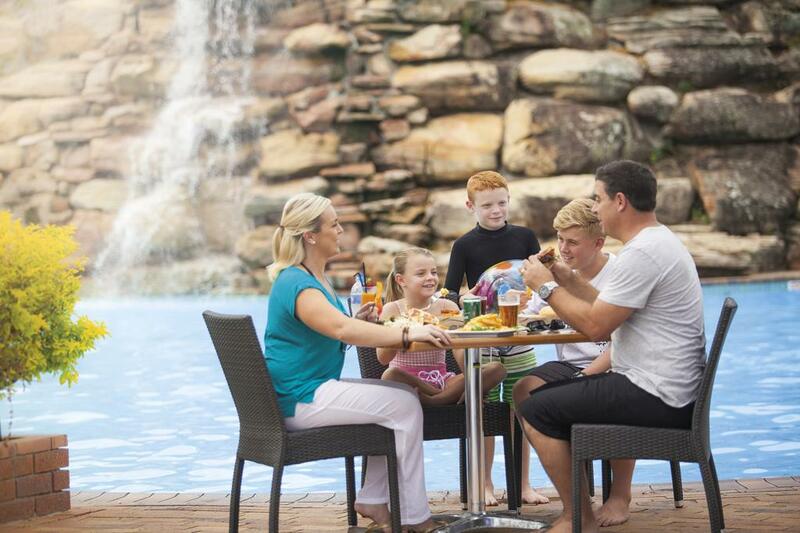 Waterfall Cafe: Open daily for cold drinks and light snacks by the lagoon pool. 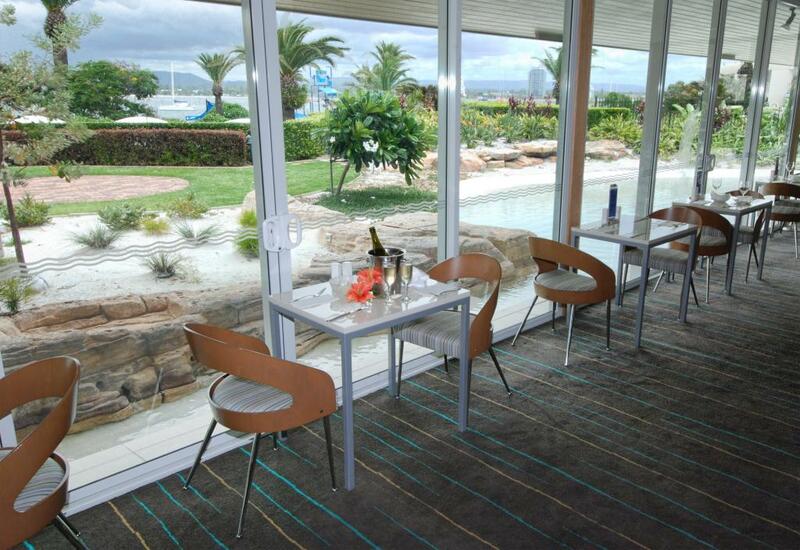 Lobby Lounge Bar: Open daily from 10.00am until late for hot drinks, cold drinks, light snacks, and live entertainment Friday and Saturday nights.